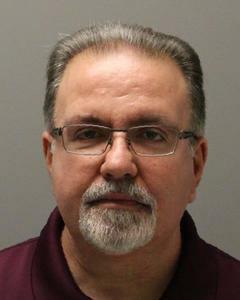 Westchester County District Attorney Anthony A. Scarpino, Jr. announced that Anthony Mangano of Ozone Park, NY was sentenced in the hit-and-run death of a tow truck operator on I-95 in New Rochelle in December 2016. Westchester County Court Judge Barry Warhit sentenced Mangano today to the 12 months already served in the Westchester County Jail. Specifically, Mangano pleaded guilty last December to Leaving the Scene of a Personal Injury Incident Resulting in Death, a class D Felony under the Vehicle and Traffic Law, and was remanded to the Westchester County Jail. On Dec. 29, 2016, Mangano was driving a box truck for his employer, a Long Island-based auto parts company. He was traveling north on I-95 and had just passed the New Rochelle toll plaza when he struck and killed Salvatore Brescia of Connecticut. Brescia, employed as a tow truck operator with a Westchester-based company, was assisting a driver whose vehicle was broken down on the side of the highway. At the time he was hit, Brescia was standing in the right lane next to his truck. Mangano continued driving. He exited I-95 north and circled back to view the scene. At that time, state police and an ambulance had responded. Mangano again went through the New Rochelle toll plaza, passed the scene and proceeded northbound to Connecticut. At no time did he stop to report his involvement or provide information to police. Brescia died of his injuries which consisted of blunt impact injury to his head, neck, torso and extremities. He was struck by the right side view mirror of the truck driven by Mangano. An intensive investigation by the New York State Police consisted of collecting fragments of the plastic from the broken mirror at the scene. This in turn led them to the company in Ontario, Canada that manufactured the plastic mirror and local distributors of the mirror which eventually led to the Mangano’s employer. State police investigators were able to identify Mangano as the driver who left the scene on I-95 on the day of the incident. EZ Pass and cellphone records were also instrumental in this investigation. This case was prosecuted by Assistant District Attorney Daniel Flecha of the Superior Court Trial Division.